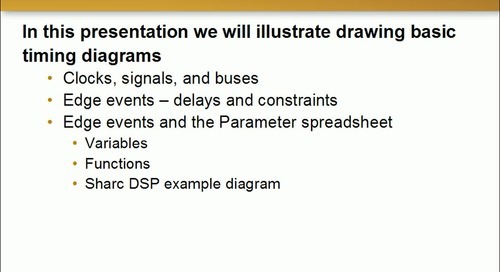 Drawing Basic Timing diagrams clocks,signals, and buses. 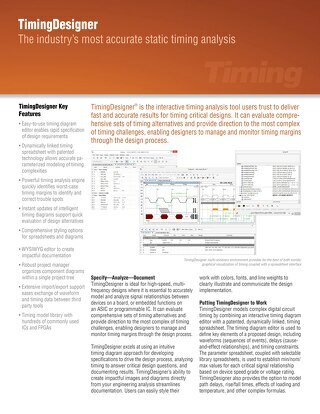 Creating various diagram styles within in TimingDesigner to support company-specific formats. 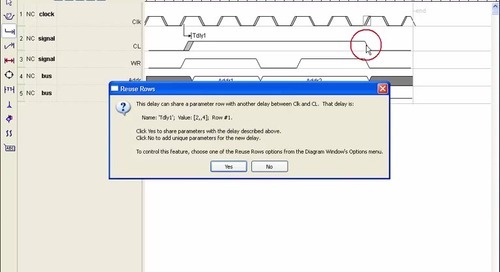 Drawing Basic Timing diagrams. 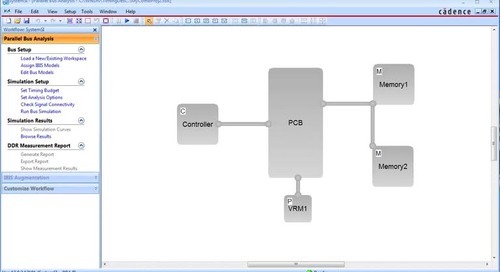 (part 2 of a 3 part series). 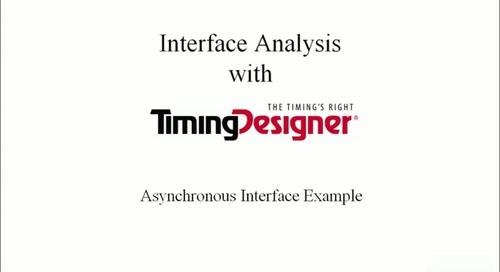 An introduction to the interactive timing analysis and graphical interface of TimingDesigner accompanied by a short demonstration. 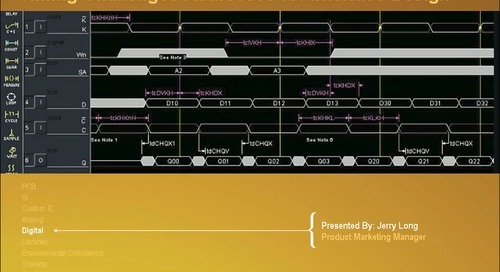 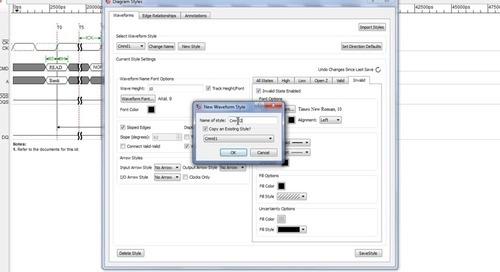 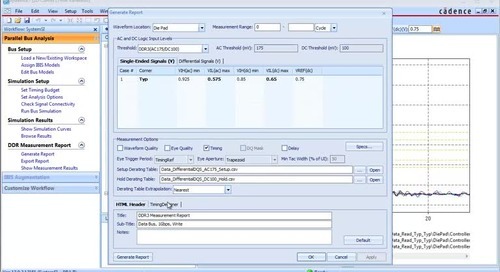 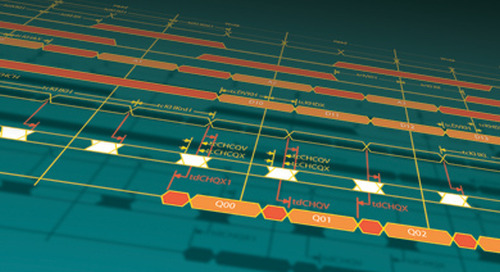 Watch a short video demonstrating the interface analysis capabilities in TimingDesigner.